There’s a dirty little trick every healthy influencer worth her Himalayan salt knows when it comes to racking up the double taps on a day when they particularly need to feel some love. No, it’s not a Fit Tea endorsement. It’s posting a perfectly lit photo of avocado toast. Who doesn’t love avocado toast? Americans spend $900,000 on it per month, for god’s sake. See also: sweet potato toast, turmeric lattes, and artfully layered smoothies. First these gorgeous fan-favorite foods took over our Instagram feeds, then our menus—starting with small cafés and growing to uber-chains. But have you ever stopped to think about how exactly this happens? What causes something to all of a sudden be universally liked, on social media and beyond? And why do some trends exhibit serious staying power, while others can’t survive beyond that first 15 minutes of fame (RIP banana toast)? It helps to know what qualifies as a trend in the first place. 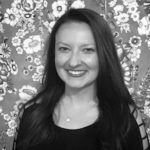 Kara Nielsen, the vice president of trends and marketing at CCD Innovation, explains it this way: “When you think about trends…it’s something in a growth pattern.” Something that gains momentum. Nielsen explains that there are five stages of growth: With food, an item is usually first spotted at an independent restaurant, food truck, or cafe; then it gains traction on food blogs; then it’s seen in cookbooks and in specialty grocery stores like Whole Foods and Trader Joe’s; then mainstream lifestyle websites start writing about it; and last, the big chains and national grocery stores hop on board. Exhibit A: The unicorn latte, which started at the small Brooklyn cafe The End and eventually landed on the menu at Starbucks. While many of the hottest food crazes today are pretty darn healthy (see: cauliflower pizza crust and zoodles), historically, that hasn’t always been the case. Sarah Wassberg Johnson—AKA The Food Historian—says this is because we didn’t know all that much about nutrition until fairly recently. “Starting in 1900 up to when the US entered World War I in 1917, people knew about carbohydrates, protein, and fats, a little about calcium, and we kind of knew about vitamin C, but other vitamins were pretty much unknown,” she says. “As far as vegetables go, people knew they should eat them to have good digestion, but they figured that since they were primarily made of water, they didn’t have much nutritional value.” That limited nutritional know-how led to a “meat and potato” culture. When the country has gone through particularly turbulent times, Americans have loaded up their plates with warm, stick-to-your-ribs dishes—that’s where the term “comfort food” comes from. And according to Johnson, when the country has gone through particularly turbulent times, Americans have loaded up their plates with warm, stick-to-your-ribs dishes—that’s where the term “comfort food” comes from. “Americans as a culture are stress-eaters,” she says. “During The Great Depression, macaroni and cheese became hugely popular as well as tamale pie, which was ground beef, tomatoes, and a cornmeal crust. These were cheap foods, but were creamy, warm, and tasty.” And during World War I, casseroles started trending. “It was a dressed up way to make something out of nothing,” Johnson says. Craving comfort food in times of crisis is something we still do. David Sax, author of The Tastemakers: Why We’re Crazy For Cupcakes but Fed Up With Fondue, tells me that it wasn’t a coincidence that people became obsessed with overly playful cupcakes and gourmet burgers during the 2008 recession. “One of the reasons for this is because it was something fun, but it was also accessible and cost a relatively small amount of money,” he says. Food is a cheaper pleasure point than buying clothes or taking a vacation. In addition to the joy that comes with consuming something beautiful and fun, there’s also a hunger—literally and figuratively—for nourishment. But in addition to the joy that comes with consuming something beautiful and fun, there’s also a hunger—literally and figuratively—for nourishment. Life is pretty darn stressful right now and feeding ourselves foods of substance is one of the purest forms of self-care there is. Do we still crave comfort food? Absolutely. But we’re now at this amazing moment in time where there are ways to make mac-and-cheese with alt-milk and gluten-free pasta or a “nice-cream” sundae. And as Odell points out, we can make rainbows without using artificial food colorings. We’re also facing an epidemic of loneliness, and one of the most basic ways people can connect is through food. Which brings us to the ever-so-photogenic avocado toast. “I’ve asked myself many times why people take photos of food, and avocado toast in particular, and I’ve realized that one major reason is that it’s about connection,” Avocaderia co-founder Alessandro Biggi says. “Most people love avocados, so you know that if you post a photo of it, a lot of people are going to have a positive view of what you’re posting.” In turn, they like or comment on the picture, and you feel a sense of connection to the people on the other side of your screen. Hashtags and other social media communities also help connect you to people who share your interests. Nielsen explains that when you post a photo of a cup of golden milk, for example, it instantly connects you to a whole tribe of other health-minded, turmeric-loving people. In one go, you check all three food-trend boxes: It’s comforting, nourishes your body, and helps you feel connected to others. We’re facing an epidemic of loneliness, and one of the most basic ways people can connect is through food. 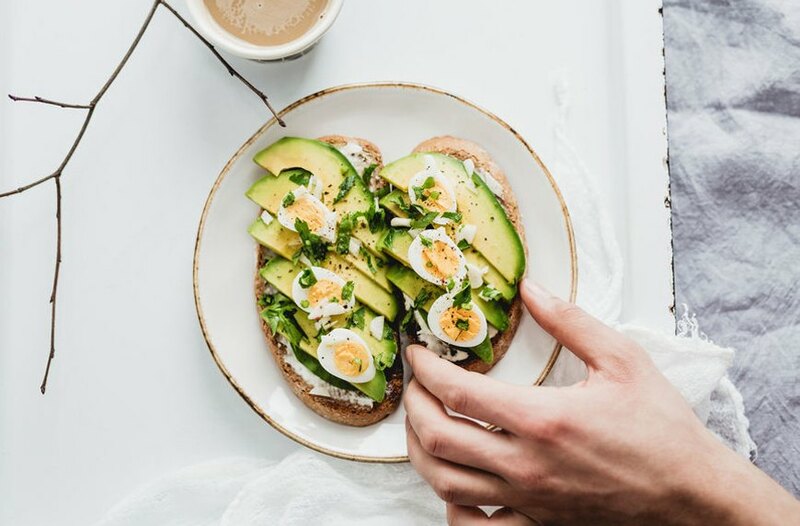 Nielsen says that, behind the scenes, there are also big players pulling the strings to make certain food trends happen, with avocado toast being a prime example of how corporate and personal interests can combine to create a mammoth movement. “Part of it is that [Avocados From Mexico] and the California Avocado Board have spent a lot of resources on promotional campaigns. Avocado companies have really started pushing avocados, to the extent that there was an avocado commercial during the Super Bowl,” she says. Still, she says no food trend is going to stick around unless it actually tastes good. (So yes, she believes people really do love pumpkin spice that much.) From everything-but-the-kitchen-sink milkshakes to sweet potato toast (and every cronut in between), the common denominator for these trends is their ability to tickle your taste buds. So regardless of whatever the next healthy food trend is—celery juice, cheese tea, CBD-infused baked goods; it’s anyone’s game!—you can rest assured that it will be delicious. Lean into healthy food trends with these unicorn food recipes and this rosy-hued oat milk latte recipe.